Lord Jesus, give us the peace which only you can give. Give us faith to believe and mouths to confess that you have done everything for us to have peace now and forever. Amen. Therefore, there is now no condemnation for those who are in Christ Jesus, 2because through Christ Jesus the law of the Spirit who gives life has set you free from the law of sin and death. 3For what the law was powerless to do because it was weakened by the flesh, God did by sending his own Son in the likeness of sinful flesh to be a sin offering. This week we’ve been talking about secret sins, sins that we’ve committed but don’t want anyone to know about. The simple idea that someone might find out about our secrets sins is terrifying. We might lose our job. We might lose a friend. We might the respect of people in our lives. Judah tried to make up for the sins he committed when he betrayed his brother, Joseph, and sold him into slavery in Egypt. He tried all kinds of things to remove his fear, but none of them worked. He was terrified of people finding out and was terrified of God’s judgment against him. We cannot atone for our sins. We cannot make up for our sin. We cannot pay for our sin. Maybe we can fix things with the people in our life. But it doesn’t fix things with God. Only Jesus could do that. Only Jesus did do that. He took the condemnation for our secrets sins and made those secrets his own. He said, “I did it,” when our secret sins come out for the world to see. He said, “I did it,” about all the sins we have ever committed. And then he took the punishment for them. Jesus is the one who came from a line of secret sinners to save sinners from their secrets. You don't have to be afraid of the secrets in your heart. You don’t have to be afraid of people finding out. You don’t have to fear being known, because there is nothing in you that could ever be exposed that hasn’t already been covered by the precious blood of your Savior king, Jesus. Your Savior Jesus came to take your sin and make it his own. 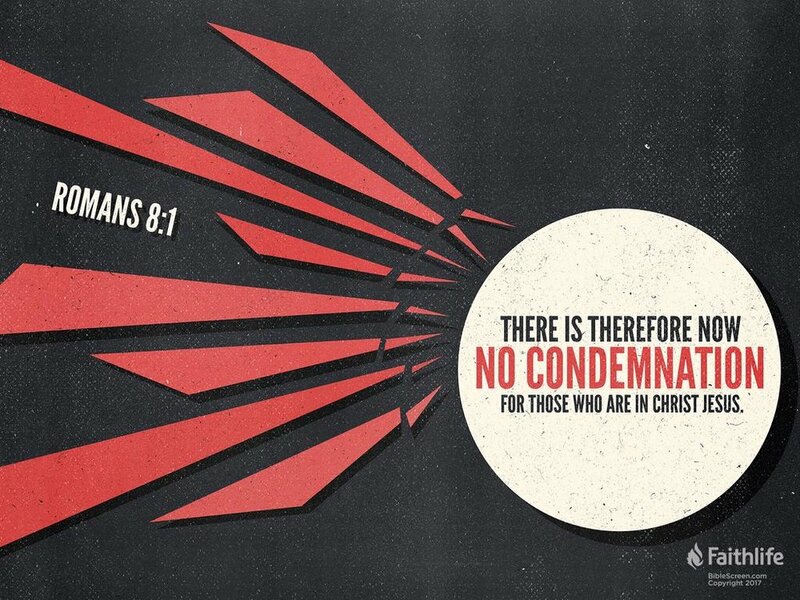 He came to cover you with his blood so that, now, there is no condemnation for you. Give each person a piece of paper and a pen/pencil. Write down sins you have committed that day or sins that really bother you. Write the name of Jesus at the top. Jesus takes the blame for all your sins. Crumple it up and throw it in the trash because all of your sins are forgiven and gone! 1. Read Isaiah 35:1-10. How does Jesus bring this to you today having taken the blame for all your sins? 2. How will Jesus bring this to you when he will return on the last day? Friend of sinners, you declare we are forgiven, not by what we have done, but by what you have done. We are clothed in your righteousness. Help us to cling to you alone for our forgiveness and salvation! Amen. Newer PostHe is not ashamed!